As if Def Leppard fans were not excited enough about their 2018 tour plans with Journey, the band now has been overheard in an interview that they may possibly play the entire HYSTERIA album at each of their concerts. it was already confirmed that they were going to be doing this on a handful of intentional concert dates, but for North America thy never confirmed that fact. The issue became kind of mute after their general tour announcement but now there is chatter that the band is considering it. In my personal opinion, Hysteria is a great album, although not their best. If it was up to me, I’ more hard rock old school and I like early Def Leppard. On Through The Night from 1980, High N Dry from 1981 and Pyromania from 1983; Those are my personal top three Def Leppard albums, and then comes Hysteria. Although I know there are many people and fans that will disagree with me, and that’s just fine. Released in 1987, Hysteria is one of their better albums and was their fourth studio album. Songs from it that you may know are Animal, Love Bites, Pour Some Sugar On Me, Rocket, Hysteria and a handful more. The album was a but controversial for some fans because the band’s hard rock edge was missing, Def Leppard had gone soft (in some eyes) and would now be considered ‘bubble gum rock’. With that though brought on a huge following of new fans. The band’s fan-base turned into younger fans, with more than half being female. This was quite different than the following the British band had from their first three albums. Like I said, Hysteria was still a great album, if you check below you’ll find some cool music videos of songs from the record. Don’t forget that Def Leppard also has their concert tour planned for later in 2018, and the tour is quite large. Information and schedules can be found on our Def Leppard Tour page. For now, enjoy some Hysteria songs down below. 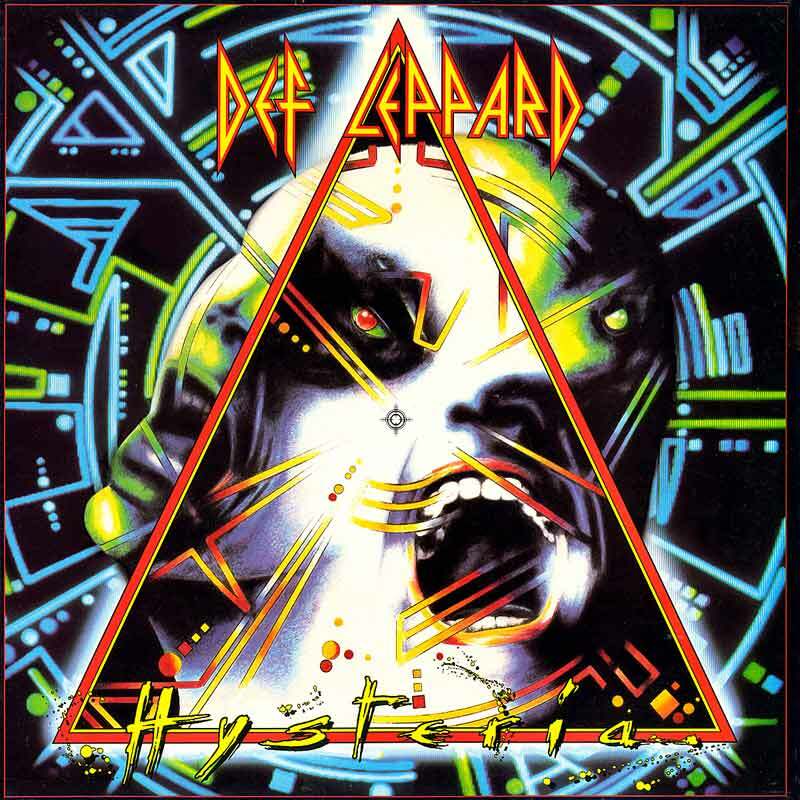 Def Leppard is considering playing their Hysteria album in full on their present concert tour.